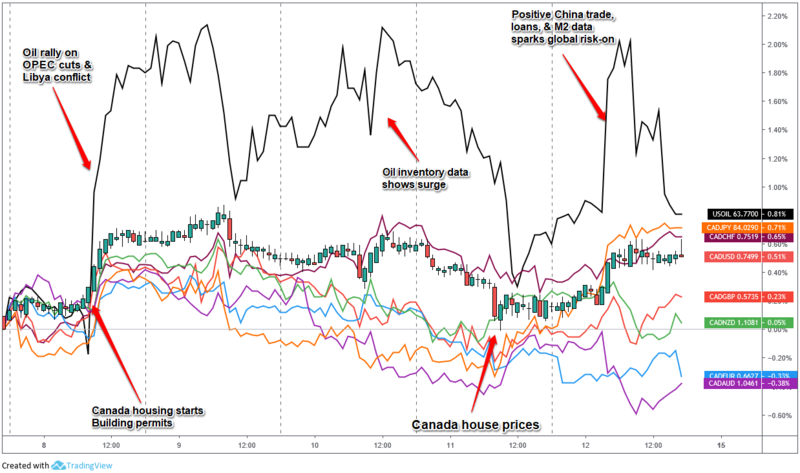 With no major catalysts from Canada on Tuesday and Wednesday, it’s likely the surge in oil inventories and the general theme of the BOC likely to take stimulative actions put broad pressure on Loonie pairs during this time. China’s March trade surplus soars past expectations and China’s new yuan loans expand in March – This data sparked global risk-on sentiment, likely lifting oil prices and risk assets with it. This is most likely the reason why we saw the Canadian dollar able to finish in the green against the safe have currencies (JPY, CHF, USD) while falling against the high-yielders (NZD & AUD) and the relatively strong euro.